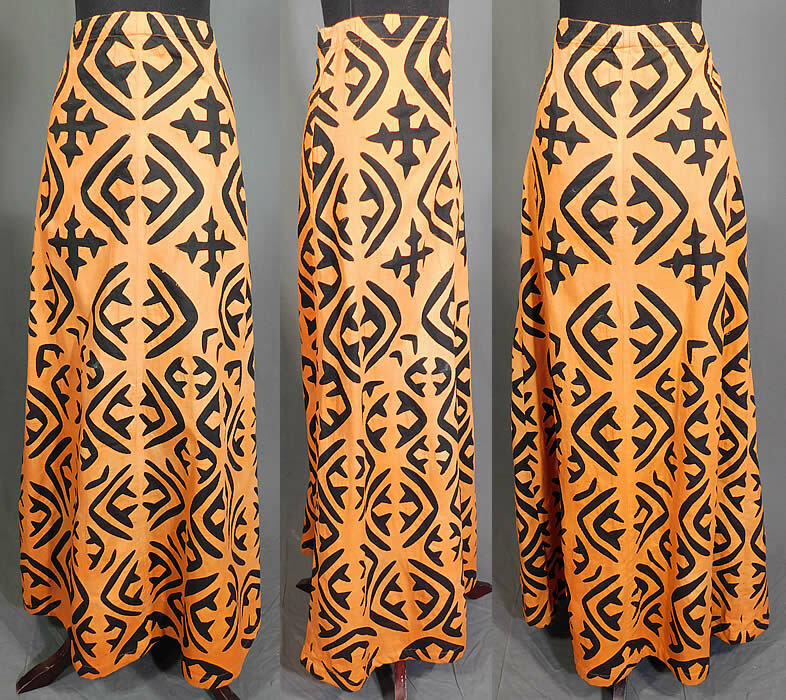 This vintage antique Hawaiian applique quilt cutout fabric boho hippie maxi skirt dates from the 1960s. 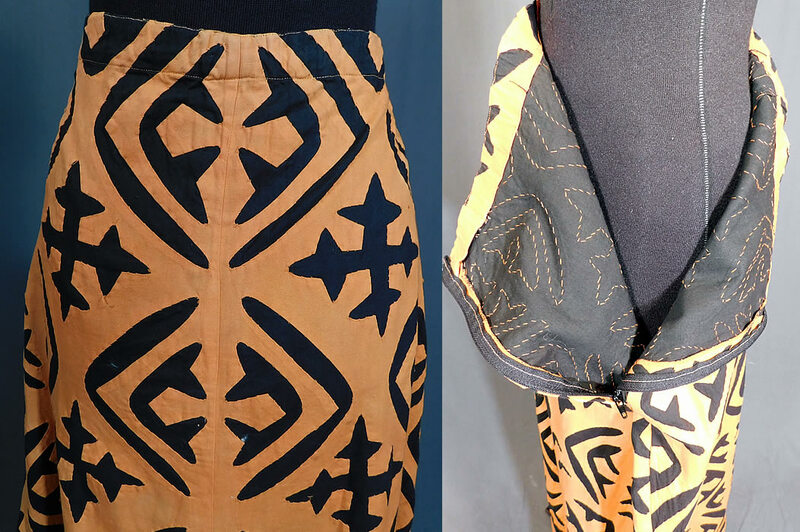 It is made of an orange and black cotton fabric with a cutout background hand stitched applique work creating a radially symmetric pattern bold design distinctive of the quilting styles of the Hawaiian islands. 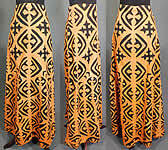 This beautiful boho style maxi skirt is a long floor length, with side zipper closure and is unlined. The skirt measures 40 inches long, with a 30 inch waist and 44 inch hips. It is in good condition with only some slight faint fade discoloration in areas. This is truly a fabulous piece of Hawaiian quilting textile folk art!